Anthropology is the study of human diversity. Anthropology differs from other fields of social science in its emphasis on comparative approaches or cross-cultural perspectives on human behavior, culture, and society. Also setting anthropology apart from its related disciplines is its holistic perspective on the human condition. 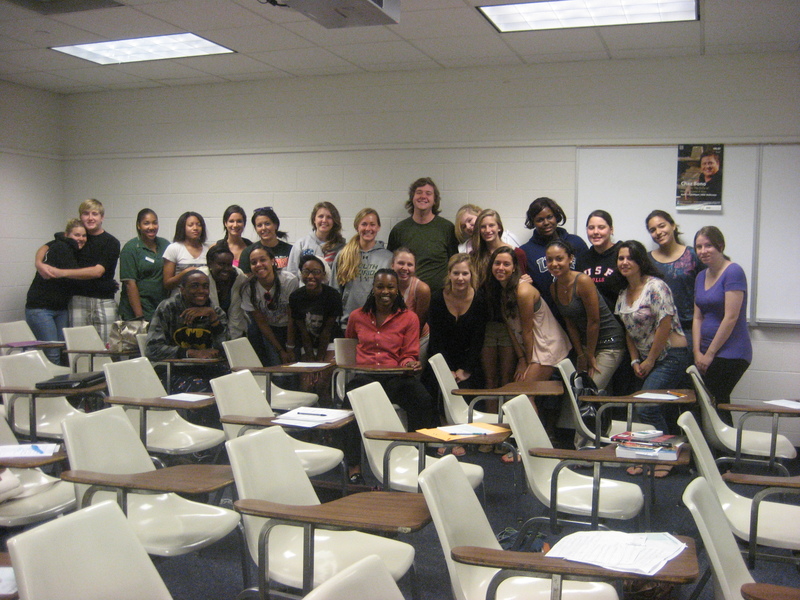 This course focused on socio-cultural anthropology as it is practiced in the United States, gaining some insight into how cultural anthropologists do what they do—including what problems they encounter, and what techniques they use for research and analysis. It was designed as part of the University of South Florida’s Foundations of Knowledge and Learning (FKL) Core Curriculum and it was certified for Human and Cultural Diversity in a Global Context. 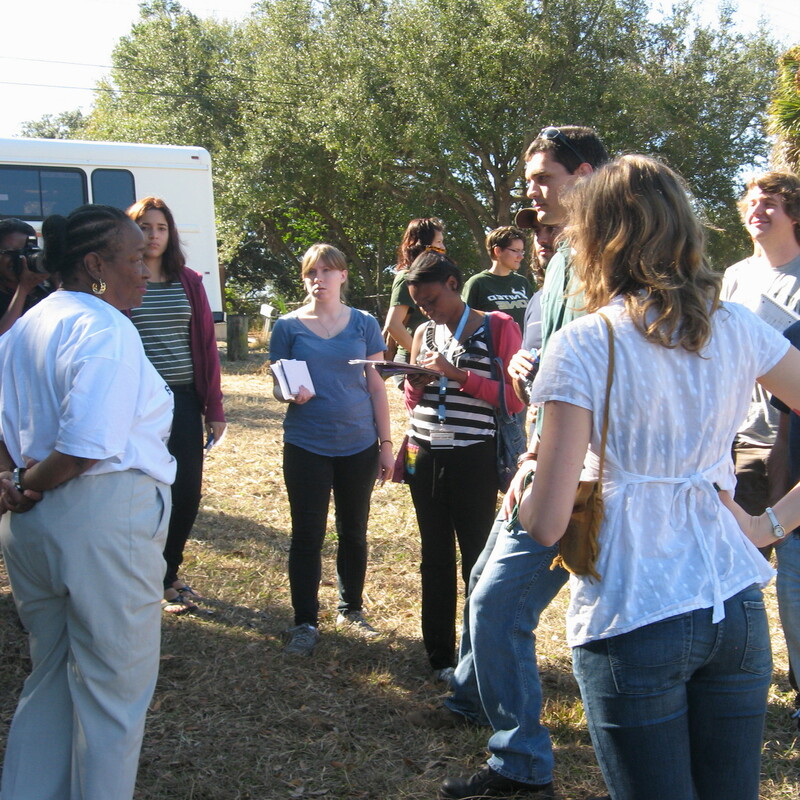 As part of the Water and Culture Applied Research project, the ANT 2410 Global Citizenship class collaborated with students and faculty from Anthropology, Geography, and Engineering who were engaged in looking at water resource issues in the Tampa area. 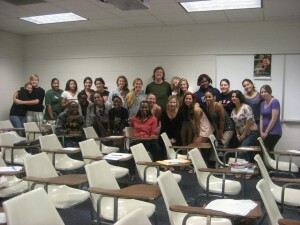 The class was divided into research teams. Some teams worked with Dr. Sarina Ergas of the Department of Civil and Environmental Engineering and her Engineering Design Capstone class who were working with local municipal agencies on water infrastructure problems. Other teams worked with the ULTRA-Ex project team led by Dr. Rebecca Zarger (Anthropology) and Dr. Fenda Akiwumi (Geography) focusing on water redistribution decision-making and policy. Additionally, the entire class worked in collaboration with Dr. Maya Trotz (Department of Civil and Environmental Engineering), Mrs. Evangeline Best (Key informant & subject matter expert), and the East Tampa community to look at the impact of water policy and water management programs on communities from a cultural anthropology perspective. At the conclusion of the project, the main contribution of the class was to provide information from a community-based perspective on how programs, policies, engineering designs, and other proposed solutions impact people, families, and communities in which they live and work. 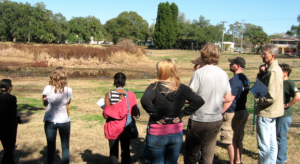 Students interviewed residents and interfaced with specific neighborhoods in East Tampa which were identified as important for this project based on proximity to selected stormwater drainage sites.